In both low and middle income countries, well established arguments and solid evidence confirm that there is no real development without peace and only the peace of the graveyard without development. These conclusions have shifted the fulcrum of discussion about development over the past several years. But they have not yet added up to telling anybody how to do it. There is a story, probably apocryphal, about a moment some eight or so years ago when international aid donors began to realise that they needed to be more responsive and effective in conflict countries. Adopting the terminology that these countries were fragile states, they decided to pilot a new approach. To do this, since aid is a government-to-government affair, they needed some fragile states to agree to do the aid recipient side of the piloting. One choice was Nepal, which seemed appropriate since there was a decade-long civil war still raging, corruption was rampant, development was stuck in neutral and the king had just declared absolute personal rule. And thus, so the story goes, an aid official took the invitation to the palace door asking the absolutist monarchy to take part in the programme as a fragile state. Whereupon the palace door was slammed shut on him. Regard it as a fable of the dilemmas international aid donors face. They know it’s hard to support development in conflict-affected and unstable states. But how do you get the government that is part of the problem to become instead part of the solution? The fable suggests you don’t do it by telling the government of a fragile state what condition it’s in and what it ought to do. A much better approach is to listen to the voices in those countries and find out where and with whom there is enough of a shared agenda to move forward together. That means a dialogue to start and an agreed course of action moving forward. And for the donors, it means agreeing not to take the lead. along with donor governments, inter-governmental agencies and civil society organisations. Its major product so far is the New Deal arrived at in November 2011. Progress is being assessed at a global meeting of the New Deal partners in Washington on 19 April. It’s potentially a decisive moment. For, nearly a year and half on from signature, the New Deal is approaching the point where it either delivers or fades, to be replaced in a few years’ time by another attempt. The New Deal sets out ways of working for both donors and recipients of development aid and indicators for judging progress. It is currently being piloted in seven countries – five in Africa and two in Asia. Initial work in the pilot phase focuses on what are known as fragility assessments. These assessments are done by the conflict-affected aid recipient. They offer an analysis of each of the conflict-affected countries to see how they do on five Peacebuilding and Statebuilding Goals: political inclusivity, the economic foundations, citizens’ access to justice, security, and the ability of government to raise tax revenues and provide public services. In principle, there is something here that is not just positive but positively inspirational. Government of conflict affected countries analysing themselves with civil society participation to report on how they are doing and where they need to direct their efforts next: a few years ago, this was the stuff of dreams. On the other side of the deal, the donor governments buy into the strategy for addressing these issues that is identified by the recipient and support it rather than backing their own pet projects and approaches. And together the two sides undertake to act with greater transparency and accountability, as evidenced by having civil society involved throughout. The intentions have been set out, very many (though not yet all) of the details are in place, and yet there is a growing feeling that it is time for the New Deal to produce. Progress in the pilot countries is zero-to-stalled at worst, slow at best. Slow progress is all very well if it’s because of a great deal of careful consultation. It is not at all well if it results from simply not doing anything about it for months at a time. Of course, nobody should think it’s easy to follow through on the New Deal commitments. The lesser problems are on the donors’ side. The question there is whether what’s been agreed at headquarters level and in international meetings has traction in the country offices. Shifting out of default mode is a big problem for all institutions and their career professionals – but this challenge has been taken on reasonably well in many different contexts before. In part the issue is whether the political leadership is engaged; in part it’s a question of institutional detail and seeing through the necessary changes in such things as staff development and incentive structures. In the conflict countries, change is tougher. Governments have signed up to the proposition that how they do governance is part of the problem they want to solve. This is a big step forward from Kathmandu in 2005. But it is an even bigger step actually to change how governance is done, when almost by definition the government is not united in this commitment, when capacity is limited and energy needed for long-term thorough-going reform is persistently absorbed by short-term crises. Here perhaps is the role for the continuing International Dialogue on Peacebuilding and Statebuilding. 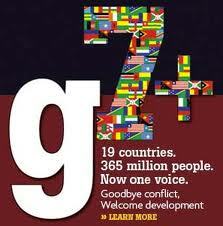 It has set out the reasons why reform is necessary for both conflict-affected countries and donors. It has set out the goals that this change must encompass. Now, perhaps, it should focus on the reasons why not – on both sides, openly and with some humility – so the obstacles that lie within can be confronted. Only then will the logjams be unblocked. This entry was posted in Conflict & peace, International development and tagged fragile states, International development, International Dialogue on Peacebuilding and Statebuilding, Nepal, peacebuilding, statebuilding. Bookmark the permalink.